A ruling party Chama Cha Mapinduzi (CCM) pre-election meeting, Zanzibar, 29 September, 2010. 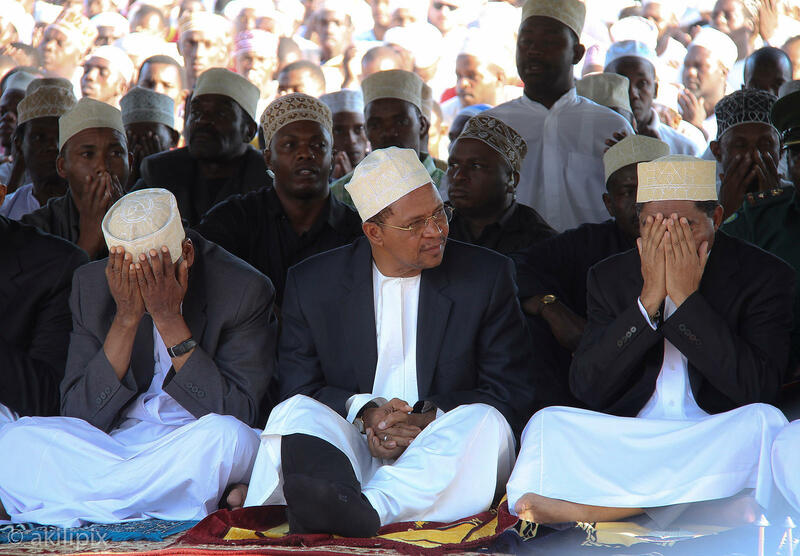 Zanzibar President Ali Mohamed Shein (R), first Vice President Seif Sharif Hamad (L) and Tanzanian President Jakaya Kikwete (C) attend mass prayers in Zanzibar’s main football pitch Miasara in Stone Town September 12, 2011. Thousands of people attended prayers on Monday evening for those lost in the Spice Islander ferry disaster. 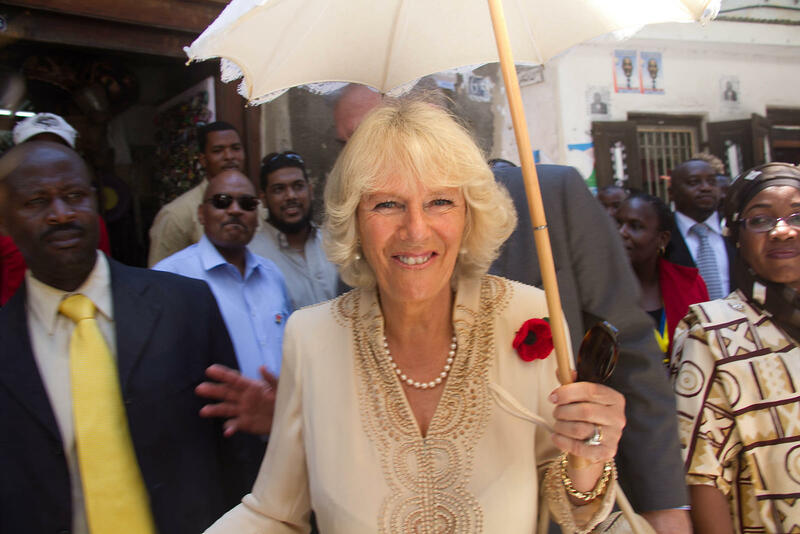 Duchess of Cornwall shelters herself from the sun in 32 C during an official royal visit to Zanzibar with the Prince of Wales, 8 November 2011. Civic United Front (CUF) supporters at a rally just outside of the capital Stone Town, September, 2010. 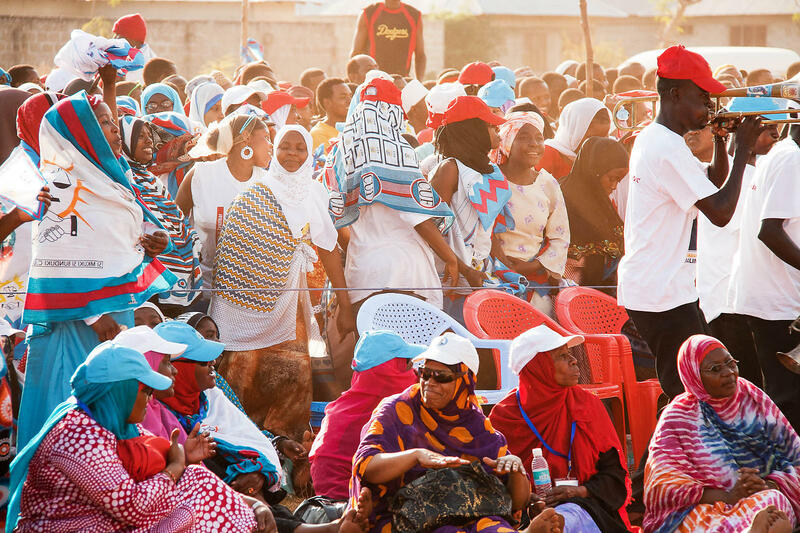 CUF was formed on 28 May 1992 through a merger of two formerly existing movements - KAMAHURU, a pressure group for democratization in Zanzibar, and the Civic Movement, a human rights organization based on the mainland. 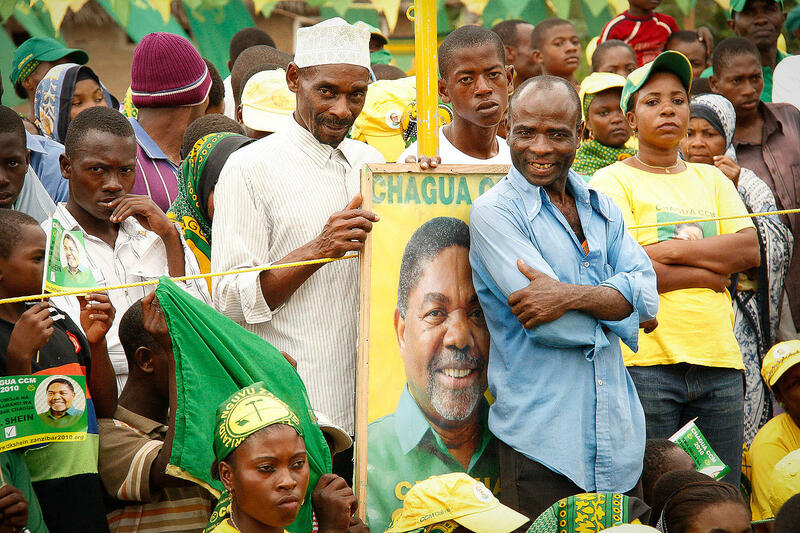 Many CUF leaders were former stalwarts of the ruling Chama Cha Mapinduzi (CCM), some of whom had been expelled over disputes about party and government policy. The party received full recognition on 21 January 1993. 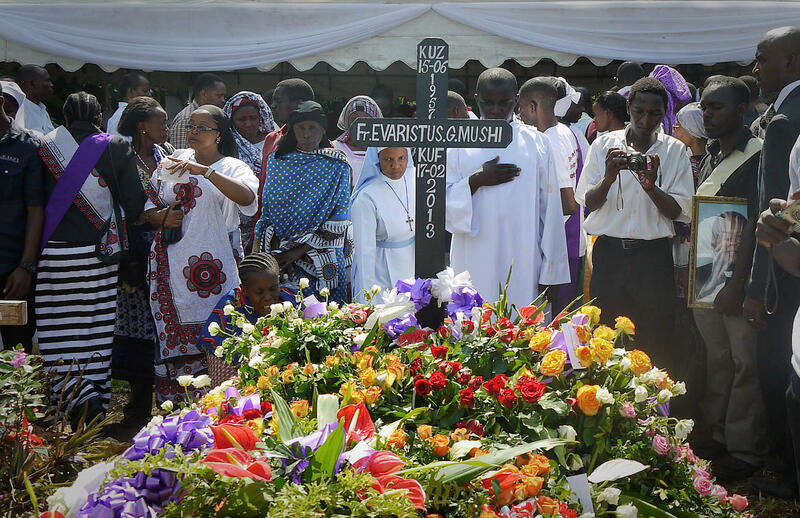 Mourners pay their last respects to Father Evarist Mushi in Kitope, Zanzibar, February 20, 2013. Father Mushi was blocked by two young men at the entrance of his church, and was shot in the head on February 17th, according to Mohammed Mhina, the island's police spokesman. 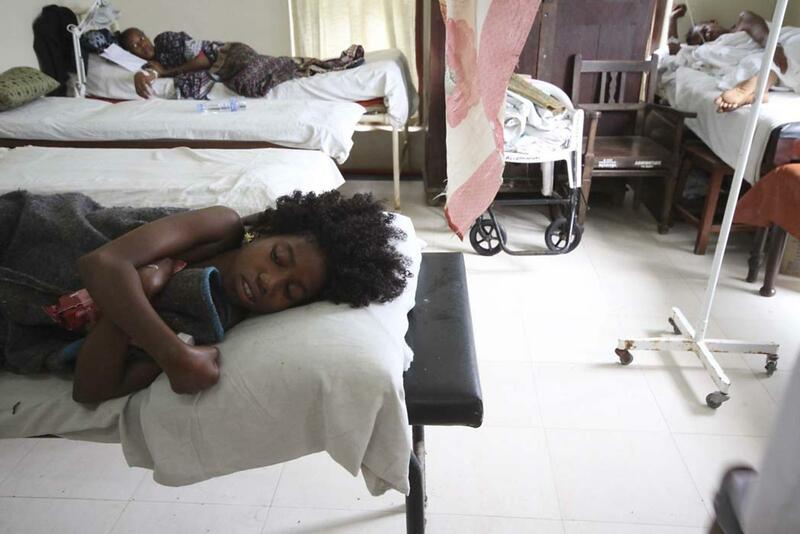 A young girl who survived the MV Spice Islander disaster lies in Mnazi Mmoja hospital, September 10, 2011. Of those on board, around 620 were rescued, with at least 40 of them suffering serious injuries.